Dragon Ball Super: Broly was able to earn an impressive $7+ million during its Wednesday opening. The one-day earnings shatter previous franchise openings for box office, and also sets a new opening day record for Funimation Films. The previous record was $1.97M set in 2015 by Dragon Ball Z: Resurrection F, which is the 19th Dragon Ball film. Excitement has been high for the movie, but it wasn't expected to make that much money, especially since nearly all schools in North America are back from winter break. 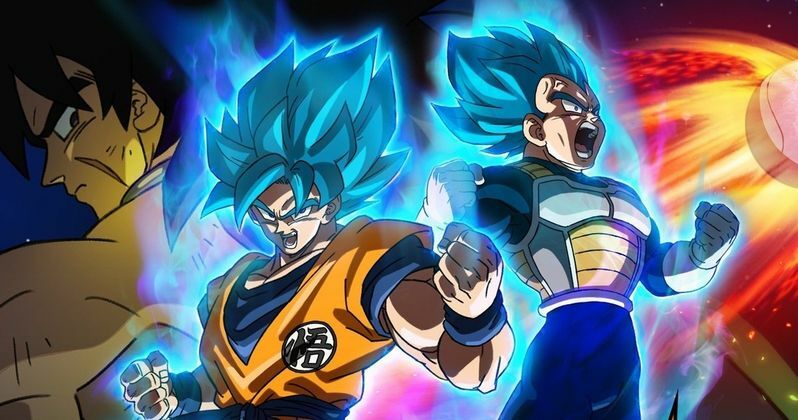 Funimation Films thought that Dragon Ball Super: Broly would do well, but they didn't expect it to make over $7 million in one day. However, anime fans take their franchises pretty seriously, and the latest movie is no exception, which is currently the fifth highest opening for an anime movie. Gen Fukunaga, CEO and President of Funimation, had this to say about the movie's success. "Both anime and mainstream audience response to Dragon Ball Super: Broly has been overwhelmingly positive. We anticipated a strong opening, but we're thrilled that the box office exceeded even the high end of our estimate. We're thrilled to hear that countless fans have or plan to watch the film multiple times. Fans are at the core of our strategy for this film." As for how Dragon Ball Super: Broly was able to pull off such an impressive box office debut, that comes down to the aggressive marketing campaign that aimed to have the movie in as many theaters as possible. Gen Fukunaga admits that their partnership with IMAX / Cinemark XD played a huge factor in getting the movie to where it is now. As for the rest of the holiday weekend, it has been estimated that it could go on to make over $15 million. Dragon Ball Super: Broly follows the events of the hit anime series Dragon Ball Super, which is the first new Dragon Ball storyline from original creator Akira Toriyama in more than 18 years. Since the premiere of the series back in 2015, its popularity has skyrocketed, mostly due to Toriyama coming back into the fold. With that being said, it looks like there could be more box office gold down the line, should the stories continue to keep the high quality up, like Dragon Ball Super: Broly has been able to do. The Wednesday release for Dragon Ball Super: Broly was so that it was able to have some alone time at the box office before M. Night Shyamalan's Glass hits theaters and takes the number one spot. It looks like Shyamalan's project will be able to make between $50 and $70 million during the holiday weekend, which unfortunately easily eclipses for Dragon Ball Super: Broly. You can check out he the day's numbers over at Box Office Mojo.